Bassnectar managed to release one of the best, most consistent and blasting EP's I've heard this year with 4 fantastic original compositions and 4 equally good remixes with top-notch production quality. Starting from a typical party smasher of Here We Go, with crunky and distorted bassline, a mandatory build-up and emcee instructing people to get ready to whatever sonic assult comes next, through pulsating wobbley extravaganza of a dubstep riddim in Bass Head to the highlight of the entire realease for me, that is Blast Off. A collaborative effort of Bassnectar with a talented Jantsen from Colorado (I've heard tons of unreleased from Jantsen, and believe my werd - this boy knows how to twist the knobs and push various buttons) will simply blast your head off with sick and crunky, looped synths, infectious beat and a cut-up voice sample most of you will definitely recognize. Listening to this track makes me really sad when I realize how far from the epicenter of Bassnectar DJ'ing activity I live, the more so as he seems to tour only US forgetting about the rest of the world (yes, Mr. Lorin, it is a complaint from a European!). Timestretch is a full-fledged heavy bass meditation rolling through the speakers (or headphones) with a force of a 100-ton tank, crushing everything on its way, but gushing with emotions nonetheless. Then comes a nice little remix of DJ Vadim's Maximum feat. La Methode by Bassnectar and ill.Gates. Great head-nodding business and dancehall riddim relying on a sparkling bass. Westcoast Lo-Fi Remix of Timestretch is even more epic and spacey than the original, best remix in the pack for sure. Finally, two low sub killers in filthy dubstep remixes of Bass Head. SPL turned the original into dark and crunky wobbley affair which, when reinforced by Funktion One type of sound system, would easily rip open the chests of dancers or at least have a serious impact on the integrity of the venue's walls. This tune gives me real shivers! MRK 1 remix is also a wobble business but with more crispy clean bassline. All in all, Timestretch a must for any fan of sick subs and whompy bass. Highly recommended! 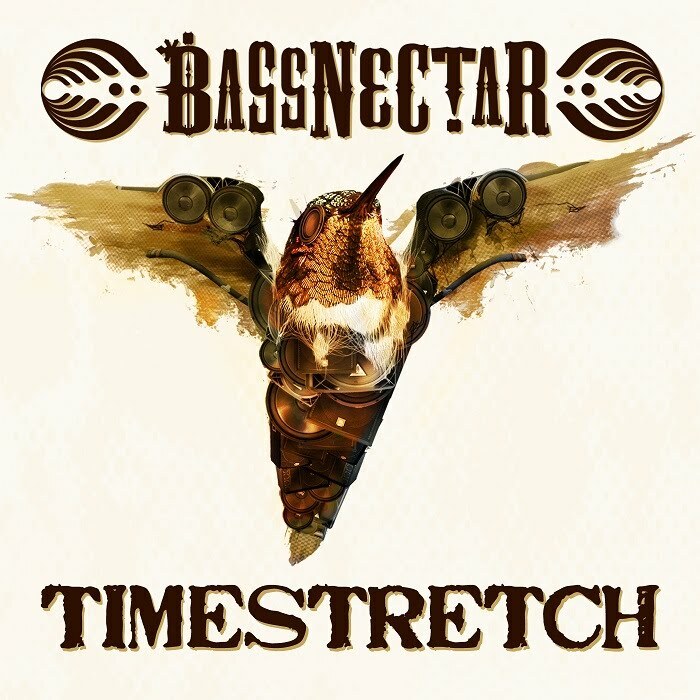 Buy Timestretch and various limited packs including CD's, t-shirts, digital downloads, vinyls via Bassnectar.net store or other retailers. The release of the EP is accompanied by a free Bassnectar mash-up Magical World feat. Nelly Furtado. It is "a musical mutatant marriage between elements of my song ‘Timestretch’ and Nelly Furtado’s classic “Turn Out The Lights". Me likes it.